With summer in full swing I am officially all about warm weather style. I love to get inspiration from everywhere - magazines, celebrities, blogs, and more to curate my style and see trends. There are so many fun trends for this season and there are a few that I really love. 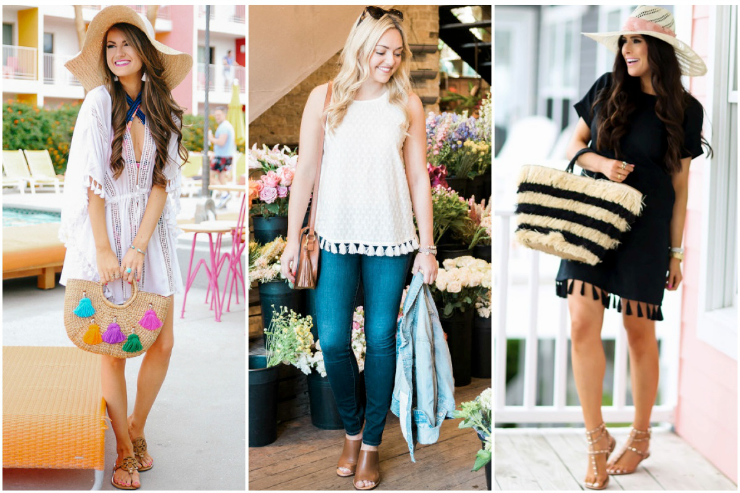 Today I'm sharing my six favorite summer trends along with some inspiration on how to wear them and my personal picks. What are your favorite summer trends for 2016? Today I'm linking up with Your Whims Wednesday, WIWW, Oh Hey Girl!, and Trendy Wednesday. I love slip dresses! They are so comfy, simple, cute, and perfect for summer! 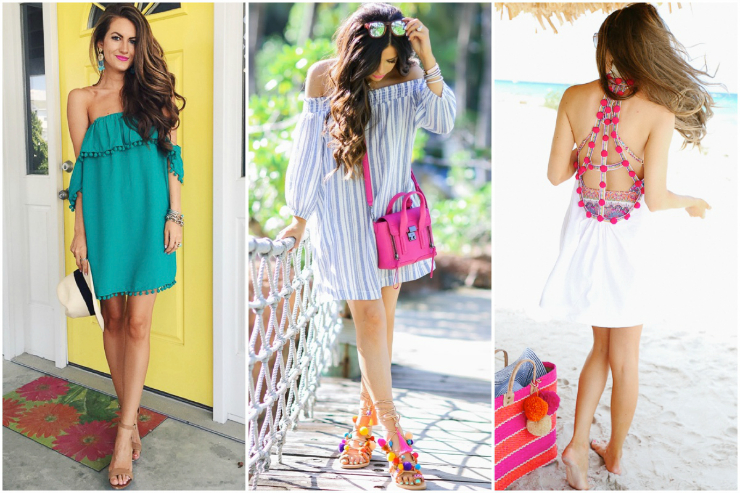 pom poms, off the shoulder dresses, and tassels are definitely my favorite summer trends this summer! 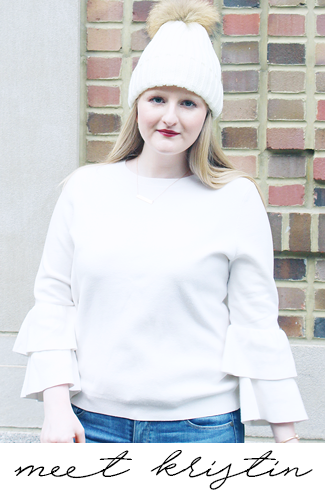 I didn't think I would be into pompoms, but this season made me LOVE them! Also loving slip dresses and off the shoulder tops! I have been seeing some super cute off-the-shoulder tops everywhere lately- such a huge trend. Love all your picks! 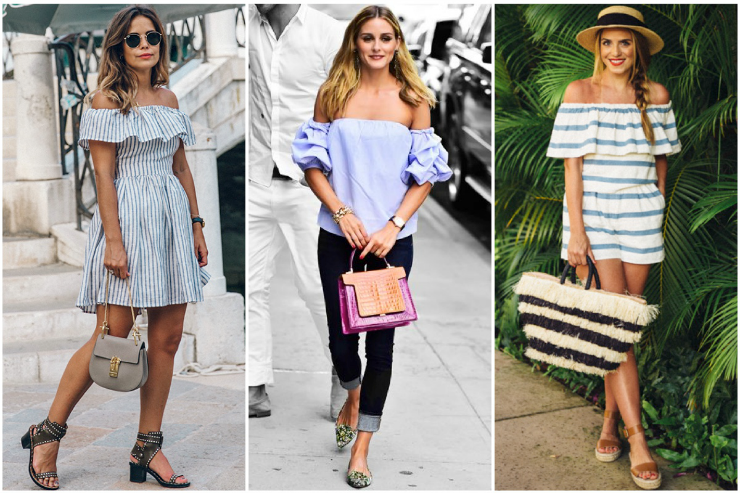 I am loving the off the shoulder and tassels right now. I dont know if I could pull off the yellow because of my blonde hair but I might have to give it a try. Love all of these looks and trends! Pom poms and tassels are soo my favorites! I have those pink/ombre Bauble Bar earrings and I think everyone needs them in their jewelry boxes! They're soo great! LOVE all of these trends! Tassels and pompoms are definitely some of my faves right now!! My favorite of these trends is the off the shoulder look. All of these trends are fabulous! So many great picks! Love ruffles! Poms are my absolute favorite summer trend! I wear them on everything! Great picks! So many great trends this season! I am loving ruffles and the off the shoulder look but I also LOVE the slip dress, I just wish I could find one for my body type! Yes yes yes to all of this! I've been loving summer styles. I really enjoy pom poms and tassles because they both just add a little something to outfits. Yellow is also my favorite color, and summer is the perfect time to wear it all the time.